Well I know am a lot late with this post ..just kinda slipped outta my mind to post it ...anyway ,,,...here goes..
Quantum of Solace continues the high octane adventures of James Bond in Casino Royale. Betrayed by Vesper, the woman he loved, 007 fights the urge to make his latest mission personal. Pursuing his determination to uncover the truth, Bond and M interrogate Mr White who reveals the organisation which blackmailed Vesper is far more complex and dangerous than anyone had imagined. Forensic intelligence links an MI6 traitor to a bank account in Haiti where a case of mistaken identity introduces Bond to the beautiful but feisty Camille, a woman who has her own vendetta. Camille leads Bond straight to Dominic Greene, a ruthless business man and major force within the mysterious organisation, Quantum. Bond allies with old friends in a battle to uncover the truth. As he gets closer to finding the man responsible for the betrayal of Vesper, 007 must keep one step ahead of the CIA, the terrorists and even M, to unravel Greenes sinister plan and stop Quantum getting its way. psst....the gal from Hitman, Olga Kurylenko is the bond gal this time..watch out!! P.S. 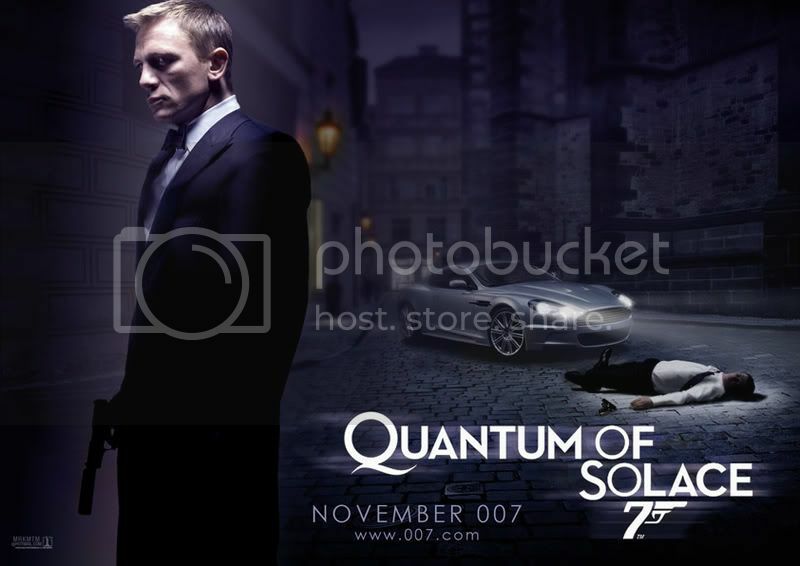 : This Bond Movie comes to India on November 7 before it hits U.S. Screens a week l8r ..hmm now hows that for staying ahead heh! heh!